In 2011 a sensational find came to light in Andy Warhol’s estate: an extensive collection of drawings that provides impressive evidence of Warhol’s artistic talents. He used iconic photographs and magazine illustrations, many of which were taken from LIFE magazine, as inspiration. This publication explores these sources and presents them in juxtaposition. Drawing was an essential element of Warhol’s everyday life during his early years in New York. He was particularly inspired by the blossoming magazine culture and its pictorial language. Extensive research has now identified the majority of the sources he used. Warhol drew a large number of subjects from the world-famous LIFE magazine. 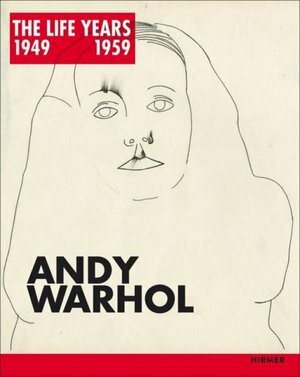 This publication presents notable examples of the copying technique developed by Warhol, known as “blotted line”, and presents the drawings in direct juxtaposition with the sources that he used. The accompanying essays explore Andy Warhol’s unique design process and his very own method for making transfers between the media of photography and drawing.